Does my proposal need to go through SPARC? The short answer is yes. If you are requesting funds for a given purpose whether it is in the form of a contract, grant or cooperative agreement, the proposal must be approved by SPARC. Going through SPARC works to your advantage in a number of ways. SPARC will help develop your budget and guide you through the submission process as well as check to ensure that your proposal complies with sponsor guidelines, and any other relevant policies and regulations. Submitting without SPARC’s assistance can result in detrimental budget errors and delays on the post award side. Preliminary proposals or white papers do not require SPARC approval if no budget is included. If a budget is included the proposal must be routed through SPARC and RAMSeS. You are encouraged to contact SPARC if you’re ever unsure about whether or not a proposal should go through the SPARC office. Trying to avoid running a proposal through SPARC is against University policy and often causes long delays on the post-award side and could even result in the decline of an award. Do I need to register in Grants.Gov to submit a proposal? No. The SPARC office is the only office on UNCW campus authorized to submit proposals for externally sponsored projects as such we have registered UNCW in Grants.gov. If you register in grants.gov as an individual, the award will be issued to you individually and UNCW's name cannot be used. You may be subject to taxes please check with your tax professional. Fundamental research is basic and applied research in science and engineering, the results of which ordinarily are published and shared broadly within the scientific community, as distinguished from proprietary research and from industrial development, design, production, and product utilization, the results of which ordinarily are restricted for proprietary or national security reasons. Source: NSDD-189 - 1985 National Policy on the Transfer of Scientific, Technical and Engineering Information. What is the difference between a pre-proposal and a Letter of Intent (LOI)? A pre-proposal is a brief description, usually 2-10 pages, of research plans and estimated budget that is sometimes submitted to determine the interest of a particular sponsor prior to submission of a formal proposal. Pre-proposals may become awards depending upon agency specifications. A letter of intent (LOI) is a short, usually no more than 2 page, letter stating intent to submit a proposal in response to a request for proposals. A LOI is not binding. The predominant reason for its use is to help agency program staff to gauge the size and range of the competition, enabling earlier selection and better management of reviewers and panelists. In addition, the information contained in a LOI is used to help avoid potential conflicts of interest in the review process. A LOI normally contains the PI's and co-PI's names, proposed title, list of possible participating organizations (if applicable), and a synopsis of the work in sufficient detail to permit an appropriate selection of reviewers. A LOI is not externally evaluated or used to decide on funding. The requirement to submit a LOI will be identified in the program solicitation and such letters are submitted as specified in the program solicitation. A letter of intent is not required to be entered and approved via RAMSeS. What is RAMSeS and why do we use it? In the old days, paper copies were snail mailed around campus until everyone had approved them. Today, RAMSeS facilitates that process for us. RAMSeS is a Research Administration Management System and eSubmission portal used by UNC system schools. The PI is required to set up a RAMSeS file and populate it with the required components of the grant application in advance of the grant proposal deadline. A proposal cannot be submitted without a RAMSeS file approved in advance of the submission. Not only does RAMSeS help facilitate the routing and submission process, it is a critical piece in ensuring UNCW is accurately capturing its research statistics. Please take a moment to watch a brief RAMSeS Tutorial (Use Firefox or Chrome to view). If you have more questions about RAMSeS, please contact the proposal development team. How far in advance do I need to submit my proposal in RAMSeS? Routing your proposal in RAMSeS should not be your first interaction with the SPARC office. Ideally, you will be working with SPARC’s Proposal Development team along the way and finally submitting your proposal in RAMSeS is the last step in the process. There are less delays in the routing system if SPARC has already “pre-reviewed” your proposal and provided feedback before routing. We recommend you allow at least 3 days for routing with 1 – 2 weeks being optimal. We cannot guarantee approval of proposals submitted in RAMSeS with less than 48 hour notice. Proposals including cost-share, subrecipients/subawards, international travel/organizations or multiple departments usually take longer. Please consult the Submit a Proposal page for more information. Does UNCW require different information to be entered into RAMSeS depending on whether I am seeking a grant versus a contract? UNCW requires the same information be entered into RAMSeS and routed for approval for competitive awards as it does for the funding you seek by partnering with another institution or private organization for contractual research. At a minimum, a scope of work, detailed budget and a budget narrative are required to be uploaded into RAMSeS and all appropriate questions in RAMSeS be answered. SPARC is available to help with review of documents and any issues you encounter with RAMSeS. External awards are made to the University of North Carolina Wilmington on behalf of University faculty, staff and students. The University is legally responsible for complying with all regulations and requirements guiding the implementation of these sponsored projects and thus it is incumbent on UNCW to ensure that such projects are conducted by the proper personnel. I am applying for a subaward on another University’s proposal. What do I need to do? The lead institution that you are collaborating with should provide some direction on what is needed from you. From an administrative standpoint, you will likely need UNCW’s SPARC office to write a Letter of Commitment, review your budget, budget justification, scope of work and fill out the lead institution’s subrecipient commitment form. I am working on a collaborative proposal and will have subawards on my project. What do I need to do? Since UNCW will be the lead, UNCW will be responsible administering the grant and ensuring the subawards are in compliance as well. We will need a letter of commitment, scope of work, budget, budget justification and a Subrecipient/Subcontractor Commitment Form approved by the subrecipient institution’s office of sponsored programs. I need UNCW’s Federal Wide Assurance number, DUNS, CAGE, TIN, F&A rate agreement, IRS tax exempt status letter, etc. Please consult our Frequently Needed Information page. If you don’t see a particular item you need, contact the SPARC office. Who can help me develop a project budget? SPARC’s Proposal Development Team is happy to help answer any and all budget related questions and will even help you put the budget together. Give them a call if you have a quick question about a budget related issue or set up an appointment if you would like more budget preparation support. What is "Facilities and Administrative" costs (F&A) or "Indirect Costs" (IDC)? Indirect costs, also known as Facilities and Administrative (F&A) costs or overhead, are costs associated with maintaining the necessary infrastructure to conduct research. These are costs that cannot be readily identified to a specific project. Some examples of F&A include utilities such as electricity and water, telecommunications, building and equipment depreciation and the administrative functions necessary to comply with regulations and conduct business. Overhead is how university Facilities & Administrative cost are recovered. Each grant reimburses the university for a portion of the university F&A. F&A are cost incurred by the university. Office space, office supplies, clerical and administrative personnel, facilities, buildings are all cost incurred by the university. Grants are charged with direct cost which are cost unique to the research, and that are necessary to carryout research. The university has a federally negotiated indirect cost rate agreement, which should be used when appropriate. You simply multiply your project’s total direct costs by the appropriate percentage rate outlined in the F&A Rate Agreement. Indirect costs are not charged on certain line items such as tuition, equipment over a certain value, etc.. Cost share essentially means the University is “donating” money, employee effort or tangible goods towards the direct costs of a sponsored project and is only allowed when it is explicitly required by a sponsor and/or is in the best interest of UNCW. Any quantified commitments are considered cost share and should not be included in your proposal unless you have obtained official University approval. Please consult UNCW’s Cost Share Policy for more information and speak with SPARC’s Proposal Development team if you have any questions. When is a cost share fund needed? A cost share fund is needed when the grant proposal indicates UNCW will pay a portion of the grant’s expenditures towards completion of the award’s objectives. See also UNCW's Cost Sharing and Matching Policy. Cost share identification and tracking is required by federal law to ensure research facilities & administrative expenditures do not include cost shared expenditures in calculating the F&A federally negotiated rate. Cost share funding always comes from a general or trust fund. As the PI, if your proposal indicates the university will pay a portion of the grant’s expenditures, please be sure to enter a fund number in Ramses. NOTE: Even when funded by the Graduate School, funding must be transferred into and spent out of a cost share fund. This lets the university track the total amount contributed to any given project. In short, cost share serves as a way to track grant expenses paid for by the university. What is employee effort and how is it calculated? “Effort” is the amount of time personnel commit to a project. For a faculty member on a 9 month contract, effort is calculated as a percentage of the faculty member's 9-month salary (base salary). Example: Sammy Seahawk earns $60,000 on a 9-month contract. If he wants to commit 10% of his effort he would calculate the dollar amount by multiplying $60,000 * .10 = $6,000. Summer effort is calculated on 1 month’s salary. 1 month salary is 1/9 of the annual base salary. So for Sammy Seahawk, 1 month of effort in the summer equals 60,000 x 1/9 = $6,666.66 (1 month’s salary). Then, 6,666.66 x 1.25 (amount of effort in months) = $8,333. What are fringe benefits and how are they calculated? Fringe benefits are the employer’s portion of required federal payroll taxes and state retirement/workers comp/health care that a contract or grant must pay for each employee paid on a contract or grant, based on employee status. The fringe benefit calculator will help you find the proper rate based on your salary and time of year (summer rates are different than academic year rates). Graduate students and other part-time workers should budget 9.15% for benefits year round. What is the difference between a grant, contract, and cooperative agreement? How do I know if my award is a grant, contract, or cooperative agreement? 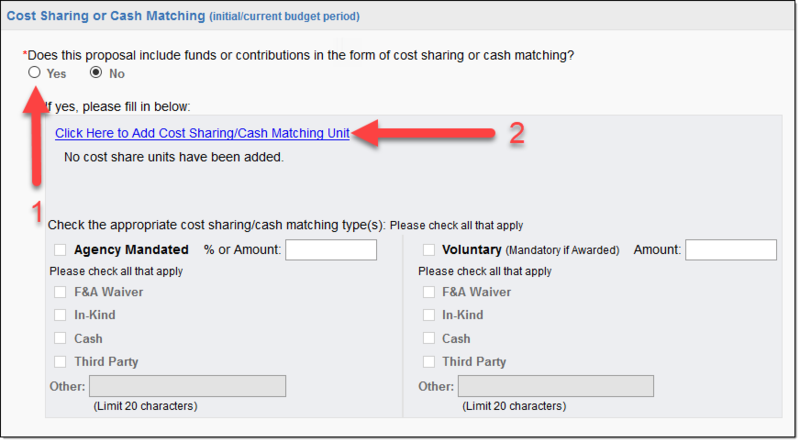 Award specifics, including award type can be found by logging into Banner and accessing the Grant Maintenance form titled FRAGRNT. Principal Investigators and Co-Investigators receive access to the Banner Finance upon receipt of their award. If you would like more training, check out UNCW’s finance training options. Who are UNCW’s primary federal sponsors? When are meals an allowable expense on a federal award? If your meal expense does not meet the above conditions but is fundamental to the success of your project, please contact your grant officer for more information. What is the difference between a subaward and a subrecipient? An independent contractor is someone who follows an independent trade, business, or profession in which they offer their services to the public and is neither a paid state employee nor a student. However, whether such a person is an employee or independent contractor depends on the facts in each case. Please visit the Independent Contractors page provided by Purchasing Services for more information. Contact your grant officer to confirm your available budget. What if my Award has a Subcontract? Because of possible restrictions imposed by the sponsor, all subcontracts must be closely coordinated with the UNCW Sponsored Programs and Research Compliance Office. A letter of commitment, scope of work and detailed budget with budget justification will be needed from the principal investigator to prepare a subcontract. The information is then forwarded to the other institution and a signature obtained by an signing official. Original agreements are retained in the SPARC Office. This is also where invoices are received. The principal investigator will be asked to review the invoices and notify SPARC to process them for payment through university channels. The principal investigator is also responsible for authorizing a requisition to encumber the funds. What budget items are exempt from F&A (indirect cost)? The applicable F&A rate is not applied to certain costs or expenses often found within a sponsored project budget. The Modified Total Direct Costs (MTDC) base shall exclude equipment, capital expenditures, charges for patient care, tuition remission, rental costs of off-site facilities, scholarships and fellowships as well as the portion of each subgrant and subcontract in excess of $25,000. Can a grant's mileage rate differ from that of the NC Office of Budget and Management? For both mileage and per diem reimbursements, UNCW will reimburse current rates set by the NC Office of State Budget and Management. Visit the UNCW Travel website for current posted rates. Do not use rates or policy that predates policy posted on the landing page. If a grant budget is written with a rate over the current year rate, UNCW will reimburse at the current rate and no more. If a grant budget is written with a rate below the current year rate, UNCW will honor the lower reimbursement rate of the grant. How do I submit an application for human subjects research? All submissions for human subjects research must be made on the online IRB management system ("IRBIS") found at https://uncw.myresearchonline.org/irb. Please contact the Research Integrity team at IRB@uncw.edu with any questions. There are three types of IRB review depending on the level of risk involved in the project: exempt, expedited and full IRB review. Projects that qualify for exempt review are projects having such a low level of risk to subjects that further IRB oversight is not required with the exception of protocol amendments. Amendments are required on exempt studies since a change to the study may alter its exempt status. Projects qualifying for expedited review are also minimal risk to subjects, but may involve other aspects that require continuing IRB oversight and annual renewal of protocol approval. A project may require full review for a number of reasons such as the subjects belonging to a potentially vulnerable population or a higher degree of risk to subjects. According to UNCW IRB policy, researchers may NOT make their own determination as to the appropriate type of review. Only the IRB Chair or designee, can determine which type of review is applicable. Am I doing research as defined by the IRB? The chart accessible from the link below may help you determine if you are conducting "research" as defined by IRB regulations. As you view this chart, please note the following definitions: Research is defined by the federal government as a systematic investigation, including development, testing and evaluation, designed to develop or contribute to generalizable knowledge. Systematic Investigation is defined by the UNCW IRB as a cohesive approach involving data collection (quantitative or qualitative) from one or more individuals and analysis to address a question or test a hypothesis. Generalizable knowledge is defined by the UNCW IRB as the results or outcomes gained from systematic investigation that may be published, archived, presented, or viewed in some way as relevant beyond the specific participant population. Am I working with human subjects as defined by the IRB? The chart accessible with the following link may help you determine if your research involves the use of human subjects. As you review this decision chart, keep in mind the following definition: Human subject is defined as a living individual, about whom an investigator (whether professional or student) conducting research obtains: 1) data through intervention or interaction with the individual, or 2) identifiable private information. What are the IRB training requirements for researchers? Any person involved in the design and/or conduct of a human subject research project must complete the approved online human subject protections training program offered by the Collaborative Institutional Training Initiative (CITI). The IRB will not review a protocol until training documentation is on file with the Research Integrity team. This requirement includes any faculty, staff, students, or collaborators from other institutions. The CITI program automatically emails the Research Integrity team when training is completed. Therefore, there is no need to submit hard copies of training certificates to us if you complete training through CITI and identify the University of North Carolina Wilmington as the participating institution. What is UNCW's Federalwide Assurance number? A Federalwide Assurance is an agreement with the United States Department of Health and Human Services (DHHS) to conduct human subject research in accordance with certain principles. UNCW's Assurance agrees to comply with the principles outlined in the Belmont Report and the Code of Federal Regulations Title 45, Part 46 Protection of Human Subjects, Subparts A, B, C and D. UNCW has agreed to follow these regulations for all research involving human subjects, regardless of the funding source. See the DHHS website for more information about assurances. Please feel free to contact the Research Integrity team at IRB@uncw.edu if you have other questions about human subjects research. What types of animals fall under IACUC regulation? ALL live, vertebrate animals fall under IACUC regulations. This is stated in UNCW's Assurance of Compliance (see below) and in UNCW's IACUC policy. Is IACUC approval required for vertebrate animals used in teaching, or just research? UNCW IACUC policy requires IACUC approval for vertebrate animals used in research, research training, experimentation, teaching, biological testing or other purposes. Why does my protocol expire after three years even though my grant is continuing? PHS Policy and UNCW IACUC policy (PDF) require a complete review of ongoing activities at least once every three years. Like many other universities, UNCW requires this complete review to be conducted through the submission of a new protocol form. Therefore, all protocol forms expire after three years regardless of the grant cycle, so that a complete review of animal activities may be conducted. What should I do if I change a procedure, change personnel, or change the species on an approved protocol? If you make any change to an approved protocol, please contact IACUC@uncw.edu and provide a complete description of the change. According to UNCW IACUC policy, the research compliance manager and IACUC Chair will determine if the change is minor, moderate or significant. Minor or moderate changes such as the addition or deletion of a student assistant, a minor species change (from one rodent species to another, like mice to rats), or a small increase in the number of animals (less than 5%) can be approved very quickly by the IACUC Chair. Major changes to the protocol such as a major change in the approved activities, a major change in species (such as changing from rats to dogs) or a significant increase in the number of animals used (more than 5% of approved number) require a revision to the protocol itself and either designated or full review, depending on the original review received and the nature of the changes requested. What are the IACUC training requirements for researchers? The online training course, "Working with the IACUC", provided by the Collaborative Institutional Training Initiative (CITI) is required for all members of the research team. The principal investigator of the study may require additional courses for research team members. Other forms of training may be approved on a case-by-case basis by the IACUC chair or research compliance manager. IACUC committee members are required to complete a course specifically for IACUC members in addition to the basic "Working with the IACUC" course. What is UNCW's OLAW Assurance number? An Assurance is an agreement with the Office of Laboratory Animal Welfare to operate an animal care program in accordance with certain policies and principles. UNCW's Assurance of Compliance with Public Health Service Policy on Humane Care and Use of Laboratory Animals states that UNCW will follow the USDA Animal Welfare Act and Animal Welfare Regulations, the Public Health Service Policy on Humane Care and Use of Laboratory Animals and the National Research Council's Guide for the Care and Use of Laboratory Animals for ALL live, vertebrate animals. Please feel free to contact the Research Integrity team at IACUC@uncw.edu if you have other questions about animal care and use. How do I know if I’m required to submit an Annual disclosure? Any SHRA employee who is serving in an EHRA position on an interim basis, or who teaches a class. I’m a part-time instructor, does this really apply to me? Yes, part-time instructors are classified as EHRA employees, and are subject to the disclosure requirement described in the University Conflict of Interest Policy. However, part-time instructors are only expected to disclose activities and interests that directly relate to their duties as an instructor. Examples include: outside employment where you may supervise or work closely with students that you concurrently teach at UNCW, requiring your students to purchase instructional materials when you will personally receive royalties or other financial compensation from those sales, etc. How will I know when to submit my disclosure? The Provost sends an initial announcement at the beginning of the academic year, usually late August, and sends a reminder prior to the submission deadline, which is usually mid-September. You may also receive reminders from the Research Integrity team or your department chair. I do not have anything to disclose, am I required to submit a disclosure? Yes, even if you have nothing to disclose, you must still submit a disclosure. Submitting a “negative” disclosure documents that you are aware of the annual disclosure requirement and that you have no activities or interests to report. What happens if I answer YES to a question, does this mean that I have a conflict of interest? Not necessarily. All disclosures with at least one “Yes” response are sent to the department chair for review. However, the majority of reported activities and interests are not determined to create an actual conflict of interest. I disclosed an ongoing activity last year. Do I need to disclose this every year? If I submit conflict of interest disclosures for research proposals, am I required to submit an Annual disclosure? Yes. Research disclosures are separate, and in addition to, the Annual disclosure. Research disclosures are narrower in scope than the Annual disclosure. I am unsure how to answer one of the questions, what do I do? Please feel free to contact the Research Integrity team at COI@uncw.edu if you are unsure how to answer a question. What is the difference between the Annual disclosure and the external professional activity for pay (EPAP) notification? The Annual disclosure is primarily used to identify conflicts of interest, whereas the EPAP form is used to identify conflicts of commitment. EPAP forms apply to faculty and EHRA staff, must be submitted prior to engaging in an outside activity, must be approved by your supervisor prior to engaging in that activity. EPAP forms are routed directly to your unit head/supervisor (usually a department chair) for review, whereas Annual disclosures are only routed to the department chair if a potential conflict is disclosed. Activities reported on an EPAP form must also be separately reported on your Annual disclosure. Both forms are completed electronically through the AIR System. What happens if I do not submit an Annual disclosure? The Research Integrity team notifies the Provost of any breaches of the Conflict of Interest and Commitment Policy. The Provost will review such cases and take any necessary steps to ensure compliance with university policy. Please feel free to contact the Research Integrity team at COI@uncw.edu if you have other questions about conflict of interest compliance. The term “export controls” refers to a set of federal laws that regulate the transfer of items, information, and services from the US to foreign countries, entities, and/or persons (including transfers to foreign persons within the US). There are some exclusions to export control laws that permit unrestricted sharing of information that exists, or is intended to be placed, in the public domain. These exclusions apply to information that is published and is generally accessible to the public. How do these regulations apply to university activities? At UNCW, most educational, research, and administrative activities fall under “fundamental research” and public domain exclusions of the export control laws. However, these exclusions do not apply when carrying or shipping physical equipment to foreign destinations, and they do not apply to travel to sanctioned countries. While most research conducted at UNCW is considered “fundamental” research (intended to be shared broadly within the scientific community), this exclusion may not be applicable if a researcher accepts restrictions in a contract on how the results can be distributed or the nationalities of those employed on the project. Can I take a laptop with me if I’m traveling outside the U.S.? Probably yes. Laptops themselves generally do not require licenses to export to most countries. However, the software installed on the laptops may contain encryption technology that is controlled for exporting to some destinations, or data stored on the laptop may include a controlled technology. For this reason, it is important to make individual determinations to ensure compliance. Usually, a temporary license exception can be applied to travel with a university laptop, provided travel is not to a sanctioned destination. A baggage license exception can typically be applied to travel with a personally-owned laptop. The export control regulations may apply if someone shares a controlled technology with a foreign national, even if the communication occurs in the U.S. This is called a “deemed” export. For this reason, it is important to notify SPARC's Research Integrity team if a foreign national will visit or work at the university, particularly if they will have access to technical data or equipment. Deemed exports can occur through verbal, visual, or written transmission of controlled information. Can I travel to a sanctioned and/or embargoed country? Probably, but some activities may require a license and you might be required to document your activities. Broad, country-based sanctions and/or embargoes exist for Cuba, Iran, North Korea, Sudan and Syria. Specific activities conducted in these locations can be permissible under certain General Licenses issued by the Office of Foreign Asset Control in the US Department of Treasury. Other sanction programs are in place for numerous other countries and entities. Exporting equipment to these destinations could likely require an export license. Please notify the Research Integrity team as far in advance as possible for any activities involving a sanctioned or embargoed country, as export control licenses can take several months to obtain. Penalties for violations can be more than six figures and include jail time. These are assessed against the individual, and the university could be penalized as well by being barred from accepting federal funding. Educating our faculty and staff is the best protection against violations. Please feel free to contact the Research Integrity team at ExportControls@uncw.edu if you have other questions about export control compliance.